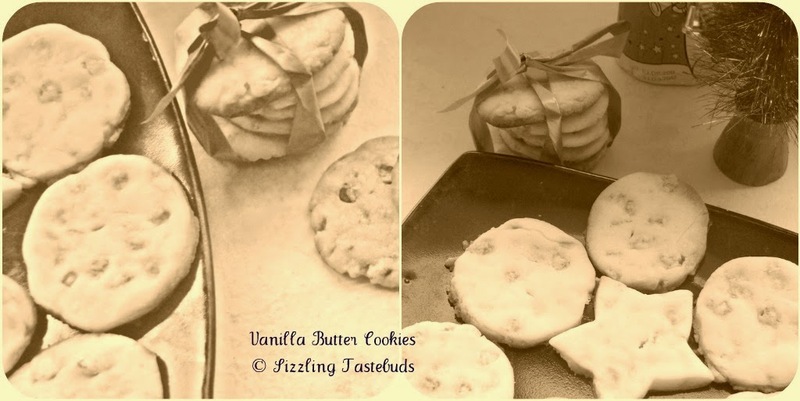 Thought would end 2011 - a marvellous year for my blog & me - on a sweet note with this creamy buttery and sinfully rich Eggless Vanilla Butter Cookies. 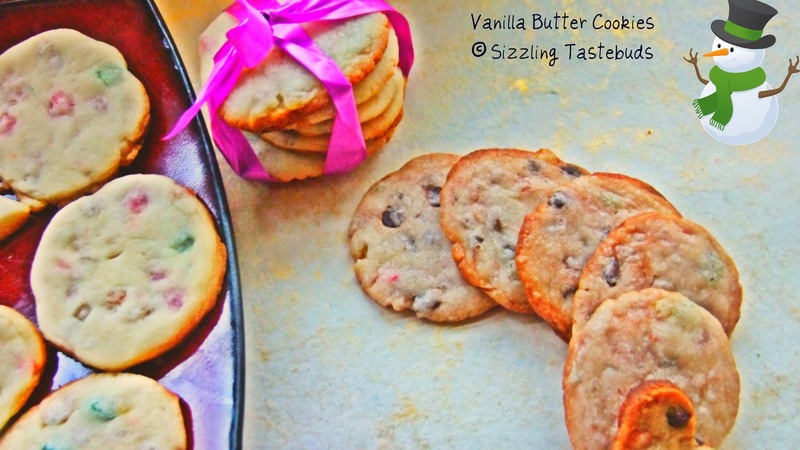 This is sure to a be a crowd-pleaser as well as a hit with kids too.. 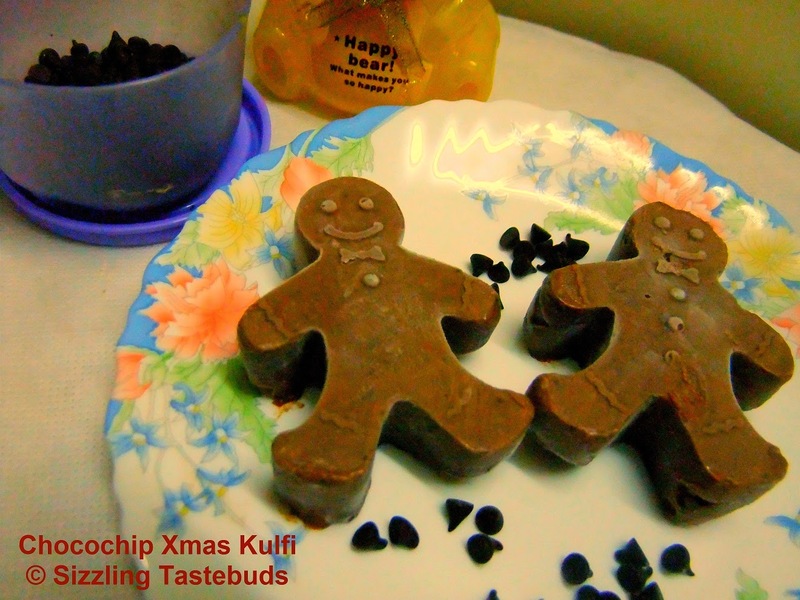 I baked it for Christmas but as I had already scheduled ChocoChip Kulfi for that day, thought would do this today - although a day late for the breathtaking 14 day Blogging Marathon. I divided 2/3 of the dough and added Tutti Frutti and added Chocochips to the remaining dough.Wishing all my readers a very happy New year and a super successful 2012 ! 1) Cream butter and sugar well. Add the olive oil to the butter cream at this stage and mix well. 2) Sieve Maida and salt twice and add this maida mix 2 TBSP at a time into the sugar-butter mix and slowly sprinkle milk and mix all the dough into a soft dough. Divide the dough into 3 parts now. Combine 2 parts, add tutti fruiti and mix well again. Add Chocochips to the third remaining part and mix lightly. Roll both the parts into separate thick logs & refrigerate them for 45 mins- 60 mins before baking wrapped in separate cling wraps. Chickpea (Kabuli Chana) - 1/2 cup - soaked and boiled. 1) Blanch the squash in hot water for 8 minutes. Drain and grind it with 3/4 of the boiled chickpeas and half of the salt. Reserve. 2) Soak apricots in warm water for 2 mins. Mince finely and reserve. 3) In a soup pot, warm olive oil. Saute chopped onions and garlic. 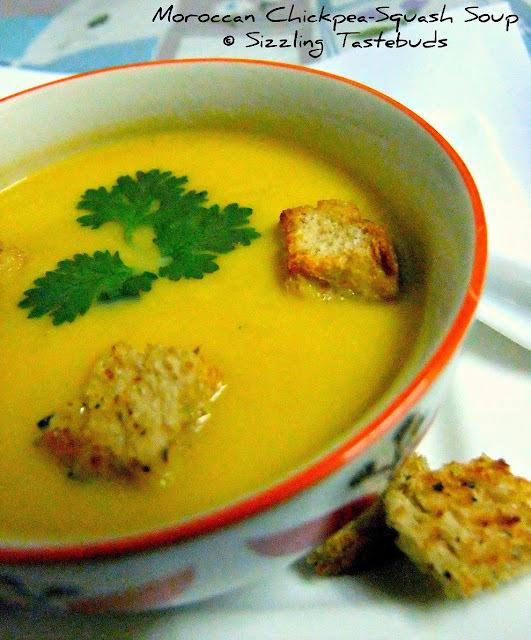 Now add the squash-chickpea puree, chopped apricots, remaining salt, a pinch of white pepper and bring to a simmer. 4) Now lower the flame and add the almond meal (2 tsp) and turn off the stove. 5) Add the lemon juice and adjust salt and seasonings. 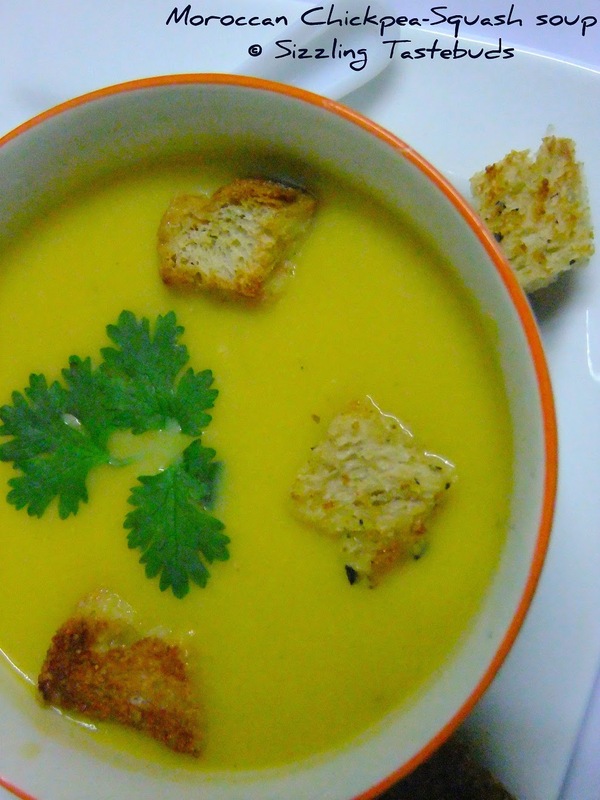 Finish with cream, remaining chickpeas and serve immediately. Street Food and me go together. Although my consumption has come down drastically after marriage, thanks to an over paranoid husband, I do indulge in street food delights - at home ! Which is very healthy, and pocket friendly. And come holidays or long vacations for kiddo, I usually go overboard in recreating that street magic right inside my own kitchen. 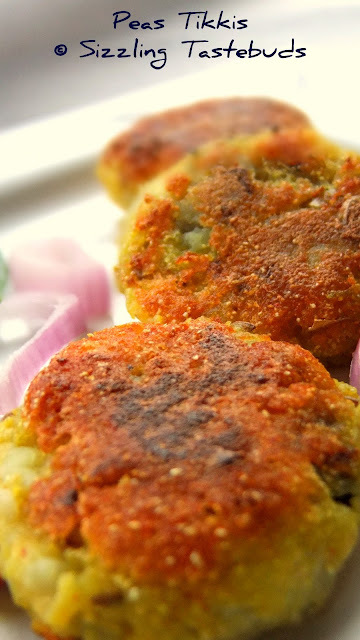 And today's post - Peas Tikki or Matar ki Tikki - is something I have been longinggggg to make ! Somehow I usually end up making Beetroot Cutlet or Makai Tikki, but now being December, peas are available in abundance. And fresh peas works best for this recipe. I have already confessed my love for Peas in my post on Peas Pulav, so decided to make the most of this season through this yummy recipe. This goes well with homemade Green chutney and / or ketchup too ! 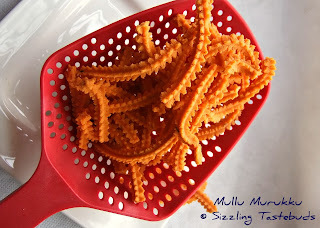 And makes for an excellent appetiser at any party or a quick snack for kids too. 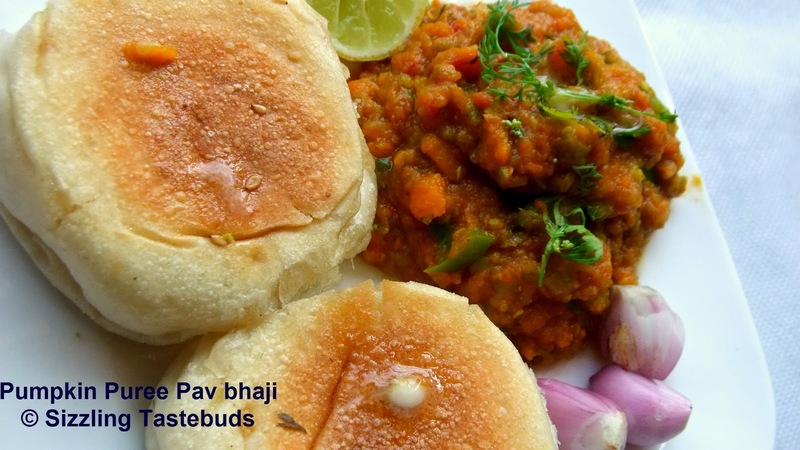 Yes, you read it right - Pav Bhaji can be low fat and low cal too. After the stupendously successful Pumpkin-Chocochip Bread, I was more confident of experimenting with Pumpkin Puree in more of my dishes, especially those which required volume (like Cakes / Pav Bhaji) all the while cutting down extra carbs through butter or even Potatoes. So, one evening on a whim, kiddo asked me to make Pav Bhaji, but I didnt want to load up a lot. 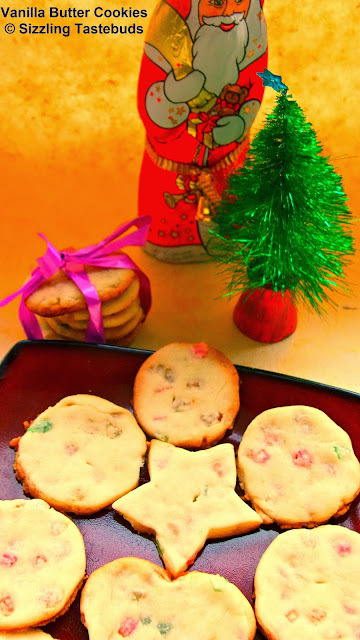 So I offered to make it for a Sunday evening snack, and as it was her X mas holidays asked her to help me out as well. She surprisingly agreed (it was the Pav bhaji that worked magic - letting go of Chota Bheem and friends on Television never seemed easier ;-)) Now, since she is too young to chop veggies for the pav bhaji (which was majorly Pumpkin puree etc), I asked her for little things , like getting me the masala powders from the shelves within her reach. And imagine my surprise when the first masala packet she brought out was Pav Bhaji Masala, followed by Amchur & Red Chillipowder. I was touched that my little one was a cute chef in the making:-) And as she doesn't like Potatoes in most forms (except may be fries), she helped me get some veggies like Carrots and Beans from the refrigerator. She also chose capsicum as she likes the crunch in the Pav Bhaji. So armed with all this, holiday cooking never looked better, and rather tasted better. The Pumpkin puree was a total hit, with even mom approving of the taste. It isnt sweet at all as one might be inclined to think. Rather the masalas we add cuts down the sweetness while the puree increases the volume but with no extra fat :-) Try this for a quick evening snack or even make it for school lunchbox. You surely have a winner there. Sending this to Week 2 BM # 11 under "Holiday Cooking" and also to Valli's Snacks Mela , Veena's kids delight and Radhika's Winter Mela. Its a wonderful party idea too, and you might want to increase the spice if serving to elder guests. 2) Chop onions and capsicum fine. Blanch peas in hot boiling water for 6 mins. 4) In a large non-stick pan, heat oil. Add onions and half the capsicum. Saute well. Add the french beans, ginger garlic paste, salt and saute again till onions slightly brown. Now add the grated carrots and mix again. 5) Once the raw smell goes off, add the peas, pumpkin puree, tomato puree and all the dry masala powders, garam masala and mix well. 6) Cook covered for 10 mins. 8) Switch off stove and transfer to serving plate. 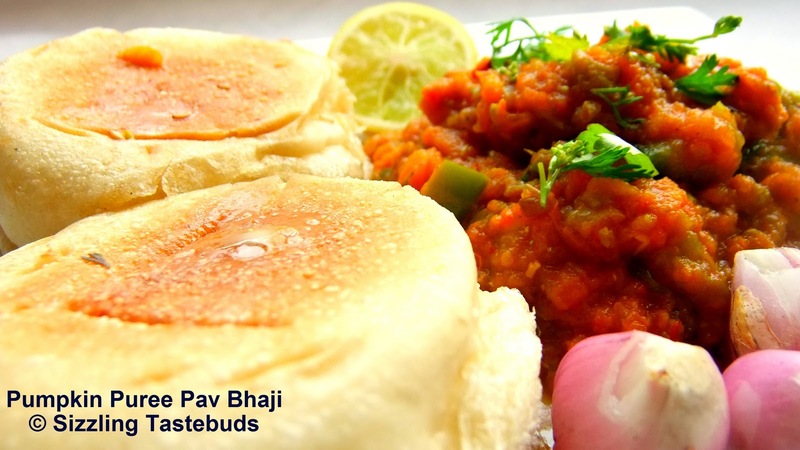 9) To serve, lightly grill the pav with butter / nutralite on a hot tava for 15 seconds. 10) Serve the hot Bhaji (vegetable gravy) with pav, lemon wedges and some chopped onions. Wishing all my readers and friends a very happy X mas and season's Greetings to you and your family ! This time for Karthigai Deepam, I made Thiru Kanamudhu (or Thasmi) - a very special kheer and also today's dish -Mullu Murukku. However I couldn't take any pictures that day due to a hectic schedule. So I made this again over Christmas (much as I would have loved to bake a fabulous Plum Cake for Christmas,I wasn't sure about adding any more sugar to my family's diet and decided to go easy on it) .I have tried making this Mullu Murukku for almost what would be the first time, and although it didnt shape out like the typical murukku (roundel shaped),the taste was fabulous. 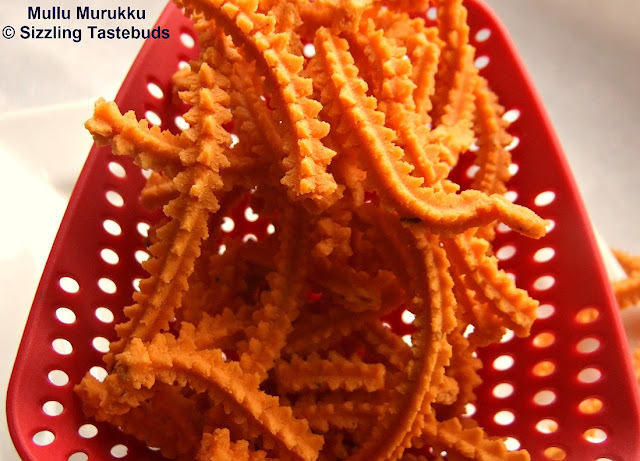 It must have been coz I tried this dish all on my own for a very little quantity, and that didnt have the volume to really spiral it up like a real murukku. Having said that, we liked it a lot with our evening tea, and my kiddo also took some to school in her snack box to share it with friends. 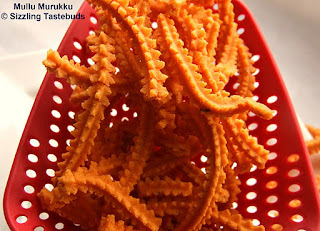 I shall post the recipe for the Thiru Kanamudhu shortly-its my grandmom's signature dish, and we all loved it a lot. Now to today's recipe - Mullu Murkku. I have used an assortment of flours here, but you may choose to make this only with Rice flour. 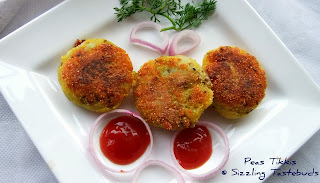 Sending this to Blogging Marathon under "Holiday Cooking" and also to Valli’s Snacks Mela, Radhika's Winter Carnival & Cooking Challenge – Tamilnadu by Vidhya. Oil - to deep fry + 4 tsp for making dough. 2) Mix & sieve all three flours couple of times. 3) To the flours, add melted ghee (or butter), 4 tsp of heated oil, salt, red chilly powder and asafoetida and mix well till they turn into crumbs. 5) Meanwhile, heat about 2 -3 cups of oil in a deep bottomed pan / kadai. 6) Grease the Murukku mould and add one roundel into the mould. Press onto a slotted spoon and insert gently into the hot oil (Oil should be hot, but not smoking). Fry well like how Pooris are made on a gentle medium heat. 7) Remove with a slotten spoon onto paper towels. Repeat with remaining dough. 8) Cool and store in airtight containers. 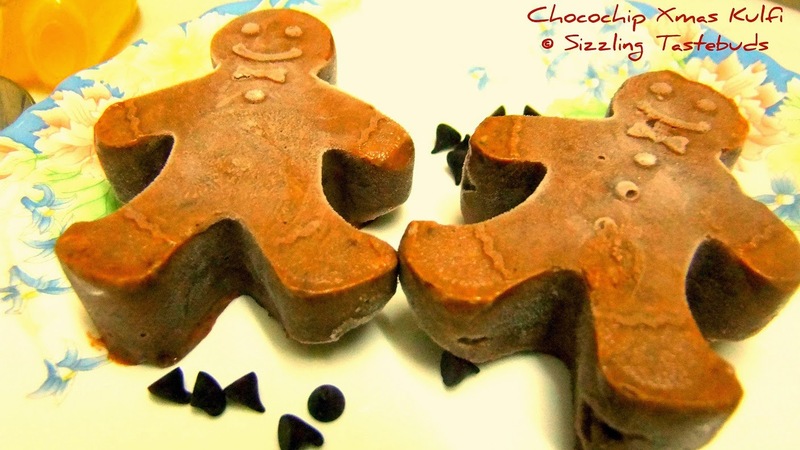 9) Enjoy with a hot cup of tea or pack them into kids' snackboxes for a special homemade treat! 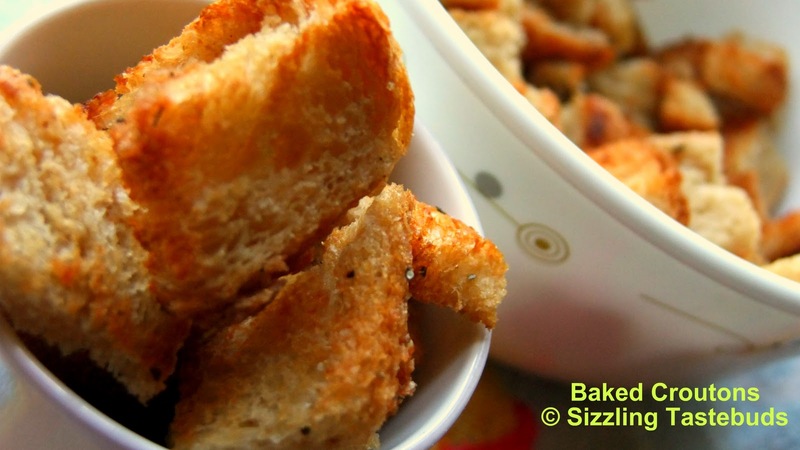 Without much ado, lets get to the recipe now - Homemade Baked Croutons ! This goes to Week 2 of BM # 11 under "Preps and Preserves" category. This entire week will see me present a mix-n-match theme under different themes ! Check out the other Marathoners here. Also, linking this to : Radhika's Winter Carnival , Valli’s Snacks Mela, Radhika’s Baked Goodies & Sangee’s BakeFest,event by Vardhini. 1) Using a serrated knife, cut the bread into small chunks. Do not trim the edges. 3) Preheat the oven to 175C for 8- 10 mins. 4) Line a flat baking tray with foil (helps clean up) and spread the chunks evenly on the lined plate taking care not to overlap them. 5) Bake for 10-15 mins till they brown. I checked at 12 minutes, and they were done. Its that time of the year, where old resolutions are broken, new ones made, dust the old, ring in the new, create wishlists and tuck it all under the 'Christmas Tree' where Santa (good old dad/ grandpa in most cases) picks up the lists and fulfill a couple of them.. Well, its the same for me too - close to an year of running this blog, and it looks like yesterday! 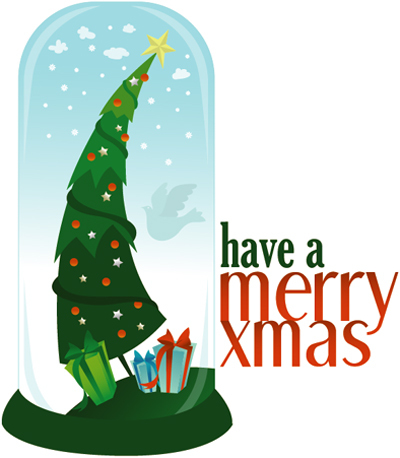 Advance X Mas and new year wishes to you all :-) May the cheer of the season bestow the choicest blessings upon you and your family ! 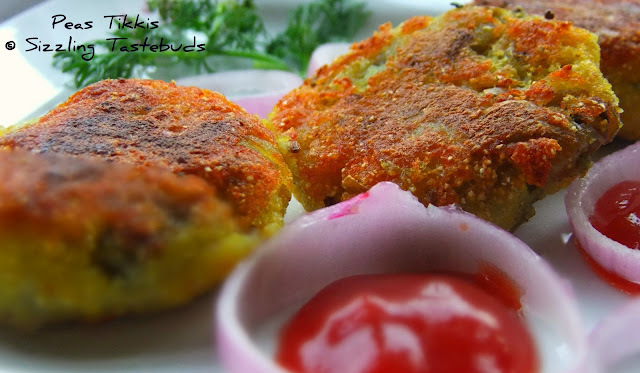 (2) My Mother's Kitchen - my second event conceptualised at this blog - was to discover old and heirloom recipes from everyone's kitchen. Somehow, the concept got diluted at some point, and now has been reinvented as "Kitchen Chronicles" which will have a new theme running every month. The new logo is also as under. It will also feature newer global trends in cooking, including Vegan and Wholegrain delights.. Stay tuned to watch more on this space. Hope you liked the new names. Yes, it will take a while to register them, but the essence of the events remain the same. Now that we are done with the makeover, lets quickly list my hosts down. Do let me know in case of any correction or even if you are eager to host the open slots.